You are here: Home / Selling Your Home in San Diego / Cancel Your Listing At Anytime! Cancel Your Listing At Anytime! If you’re like most people preparing to sell their home, you may worry about being locked into a lengthy listing agreement with a less-than-competent real estate agent, costing your home valuable time and exposure on the market. Well, worry no more. We take the risk and fear out of selling your home with a real estate agent. We have a very strong opinion about real estate service. We absolutely subscribe to the notion that if you’re unhappy with the level of service you receive for any reason, you should have the power to fire your agent. It takes a strong belief in the quality of our service to make this kind of offer, and we are proud to make it, as we never settle for anything less that the highest professional standards. We are so confident that you will be happy with our service and results that we put it in writing – We always stand behind our service. 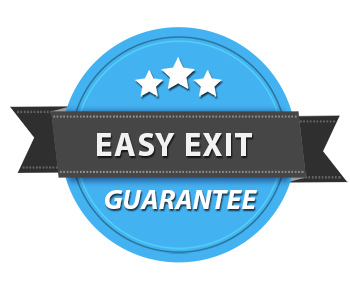 Ready to sell your house with our Easy Exit Listing Program? Complete the information below to get started.